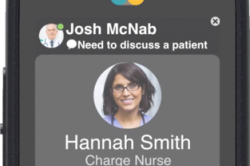 Bring care teams and information together, centered around the patient, with Vocera clinical communication software for smartphones. Securely obtain, clarify, or change orders. Report changes in patient status. View critical test results. Instantly connect by secure text or voice call. Communication with device of choice for each user. 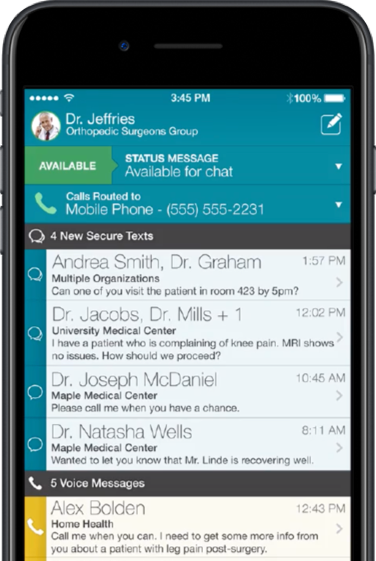 Whether your hospital supports BYOD, a shared device model, or a mix of both, we have device options. Interoperability with most systems to allow data to be aggregated simultaneously, providing care teams with situational awareness in real-time.